SpineMed is a useful tool for your recovery. For more information about SpineMed, please visit this web site. You may also see videos about SpineMed by clicking here. Table Features may be reviewed here. Or come by the Northeast Wylie Chiropractic and Rehab for a demonstration. Northeast Rehab serving Wylie, Murphy, Garland, Sachse and other communities is taking low back pain treatment to the next level with astounding effectiveness and unsurpassed efficiency with the SpineMED™ Spinal Decompression Table. 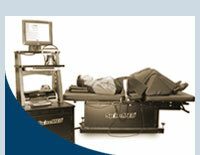 The SpineMED™ Table offers the most advanced technology available. The entire device has been designed with tomorrow’s technology in mind. Accurate and controlled non-surgical decompression of intervertebral discs (decompression ~ unloading due to distraction and positioning) is now possible in an office environment with the SpineMED™ Table. After only a few weeks of treatments, research has shown outstanding results in relieving the debilitating pain caused by bulging, herniated, degenerative and ruptured discs, as well as, sciatica, posterior facet syndrome and many failed back surgery cases. A remarkable result of this therapy is the promoted re-hydration of the nucleus and repair of the disc wall through nutritional transfer and fibroblast migration caused by the negative pressures created during decompression. Come by the Northeast Wylie Rehab and Chiropractic for a demonstration. Our team of injury medicine experts provide spine adjustments to patients traveling from Wylie, Sachse, Murphy, Garland, Plano, Rowlett, Nevada, Josephine, Lavon, Farmersville and as far away as Greenville. Get the treatment you need at our convenient location!